EUNIC London Annual Conference: "Europe – Why Bother? Artists and Intellectuals Respond to Europe"
We are delighted to host the 4th edition of one of EUNIC London’s flagship programmes, the annual conference of international cultural cooperation and cultural diplomacy. The event will bring together some great European names in the arts, academia and public affairs that will offer their contribution to the essential debate about the future of Europe, giving voice to the expectations, concerns and resolutions of Europe’s creative sectors. This year, the speakers are urged to answer to the conference’s title question: Europe - Why Bother? 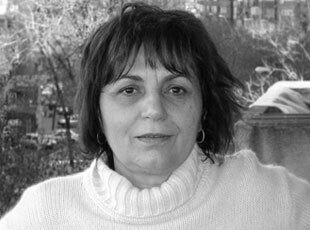 Romania is represented by Gabriela Adameşteanu, one of its most prominent novelists and a significant voice in today’s intellectual debates. A best-selling author and a prominent cultural and political commentator, Mrs Adameşteanu has been translated all over the world. Confirmed speakers also include Sir Vernon Ellis, the chair of the British Council, Charles Etienne Lagasse, president of EUNIC Global, Jacqueline Minor, head of Representation of the European Commission in the United Kingdom, Viera Polakovičová, head of the cultural diplomacy directorate in Slovakia’s Ministry of Foreign Affairs, Graham Sheffield, the overseer of arts programmes at the British Council, and Fernando Vallespín, director of Ortega y Gasset Institute in Madrid. The conference is moderated by John Kampfner, former editor of The New Statesman. The Annual Conference is one of the annual events of EUNIC London. The project is set up by a group of members of the cluster under the coordination of the Romanian Cultural Institute in London with the generous support of the European Commission Representation in the United Kingdom.